Israel’s prime minister said he will congratulate Brazil’s newly-elected president in person at his inauguration ceremony on Jan. 1, 2019. Benjamin Netanyahu told Jair Bolsonaro in a congratulatory telephone conversation on Monday about his intention to greet him soon in Brasilia for his victory, reported Folha de S.Paulo newspaper. Israeli media on Wednesday conformed the prime minister’s intention to travel to Brazil, citing an official in the prime minister’s office. The Brazilian right-wing lawmaker is a passionate admirer of Israel and has vowed to transfer the Brazilian embassy from Tel Aviv to Jerusalem. “I am certain that your election will lead to a great friendship between our nations and to a strengthening of Israel-Brazil ties. I’m looking forward to your visit to Israel,” Netanyahu added, referring to Bolsonaro’s pledge to visit Israel on his very first international trip as president. 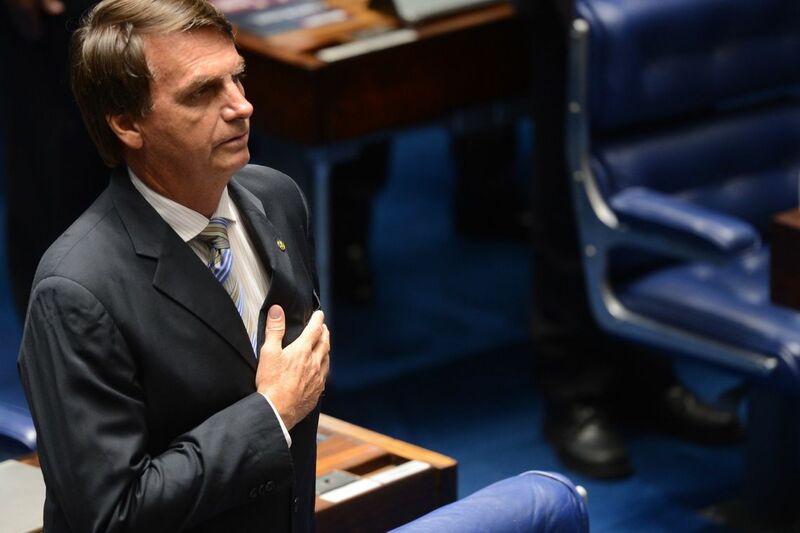 The Israeli leader also tweeted a message of congratulations to Bolsonaro shortly after he was elected Brazil’s new president on Sunday with a strong pro-Israel speech, but highly divisive among Jews voters. “I spoke this evening with the president-elect of Brazil, @jairbolsonaro. I congratulated him on his victory. I told him I’m certain his election will lead to a great friendship between our peoples and a strengthening of Brazil-Israel ties. We are waiting for his visit to Israel!” the tweet said. 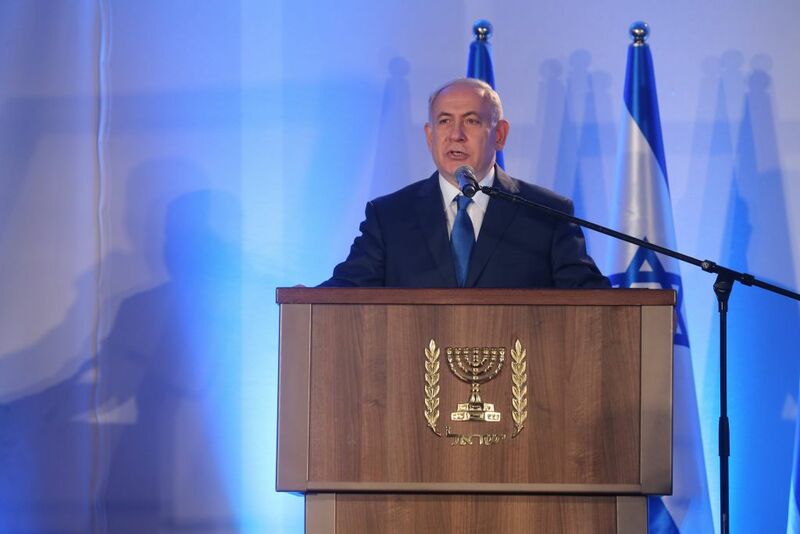 Netanyahu would become Israel’s first-ever sitting prime minister to visit the country. When David Ben-Gurion paid a visit to Latin America’s largest nation in 1969, he was no longer head of the Israeli government. In his Facebook account, Bolsonaro recounted the conversation with Netanyahu, who said that the “bonds of friendship will be translated into agreements where our people will be the greatest beneficiaries,” added the newspaper. Less than 24 hours after the announcement of his victory, Bolsonaro welcomed in his apartment for a private meeting Israel’s ambassador in Brazil, Yossi Shelley, and honorary consul in Rio, Osias Wurman. “It was an excellent, open conversation between friends. They met only once in Israel, two and a half years ago, but it was possible to feel that there was a more than a courtesy conversation. It was possible to feel that there was a chemistry,” Shelley told the media about Bolsonaro’s and Netanyahu’s conversation. In September 2017, Netanyahu spent several days in Latin America in a visit that included Argentina, Colombia and Mexico. It was the first-ever visit of a sitting Israeli prime minister to the region, but its largest nation was left out due to the strong anti-Israeli sentiment that had been permeating Brazil’s political environment after nearly 15 years of far-left governments. 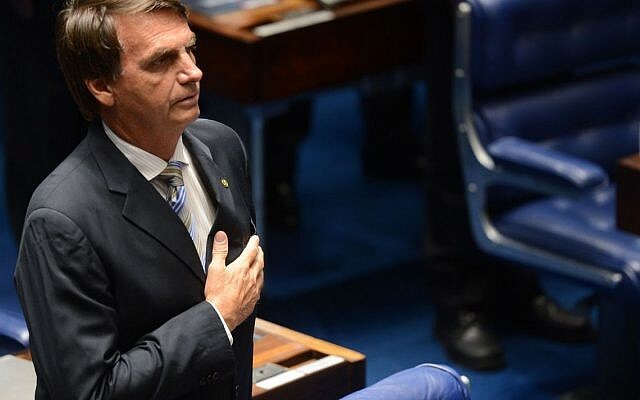 Fernando Lottenberg, the president of the Brazilian Israelite Confederation, mentioned Bolsonaro’s election for the first time on Tuesday. “Brazilians have elected a new president in free and fair elections. The process has split and polarised the Brazilian society, including our very diverse Jewish community. Now is time to reunite, based on our Jewish and democratic values of justice and tolerance,” he told JTA. “Bolsonaro has indicated he will be a strong supporter of Brazil-Israel relations, and we will work together on this goal,” added the head of Brazil’s umbrella Jewish organisation.